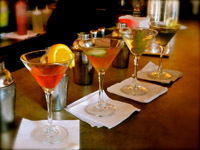 Find all types of bars in New York, where you can experience some of the coolest NY nightlife! See our complete list of NY bars, so you'll know all the hottest hot spots before you even book your trip! Smoke the finest hookah at the best hookah bars in New York. Fun New York is your go-to guide to the top hookah bars in NY. Kick back and relax with your best buddies at the best hookah bars in ny. Sip a perfect pint of Guinness at one of the best Irish pubs in New York. Pull up a stool at the top irish pubs in NY, where everyone's Irish for a day! Enjoy authentic Irish food at the best irish pubs in ny. 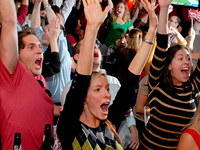 Sing and drink to your heart's content at any of these fun-filled karaoke bars in NY. 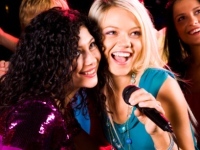 Find New York karaoke bars in NYC and other areas throughout the state. 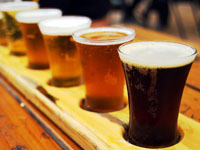 Enjoy the highest quality brews at the best breweries in New York. If you're tired of watered-down domestic beer, explore the top breweries in Ny. For a great night out, see our list of the best breweries in ny. Whether you're an NYU student or enrolled in one of the many other great universities and colleges in NY, we've listed the best college bars in new york for you to drink and have a blast between studies. 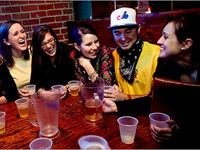 Party it up at the top college bars in ny. Meet some college cuties at the best college bars in NY. Knock back some cold brews at the best dive bars in New York. 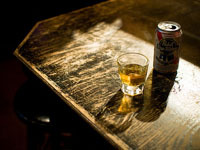 Search for the top dive bars in ny that visitors and locals have been raving about. For a memorable night on the town, check out the best dive bars in Ny. Sip the finest martinis at the best martini bars in New York. If you're craving a more upscale, expertly designed cocktail, check out the top martini bars in NY. Fun New York is your go-to guide to the best martini bars in ny. Watch your favorite Jets or Giants games at the best sports bars in New York. Search for the top sports bars in NY that serve the best drinks and the best food. Fun New York is your go-to guide to the best sports bars in Ny. If you're looking for a rockin' good time, check out the best rock bars in New York. See our list of the top rock bars in NY. 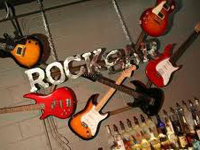 Listen to awesome rock tunes as you drink to your heart's content at the best rock bars in ny. During the warmer summer months, check out the best rooftop bars in New York. Enjoy cold drinks and a cool breeze at one of the top rooftop bars in NY. Order your favorite cocktails at the best rooftop bars in ny. If you're tired of being forced to step outside to smoke, see our complete list of smoking bars in NY. 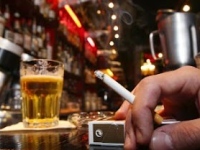 Find all types of bars in new york where you can smoke, including cigar bars in NY. For all you connoisseurs of fine wine, we've listed the best wine bars in New York for you to enjoy. 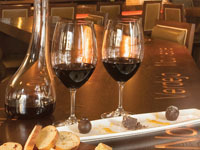 If you crave a more upscale bar experience, stop by one of the top wine bars in NY. Find information about the best wine bars in Ny.